A highly experienced board certified Periodontist, Dr. Daniel Lauer reports his case study on treating gum recession defect with the use of the enamel matrix proteins (Straumann Emdogain). 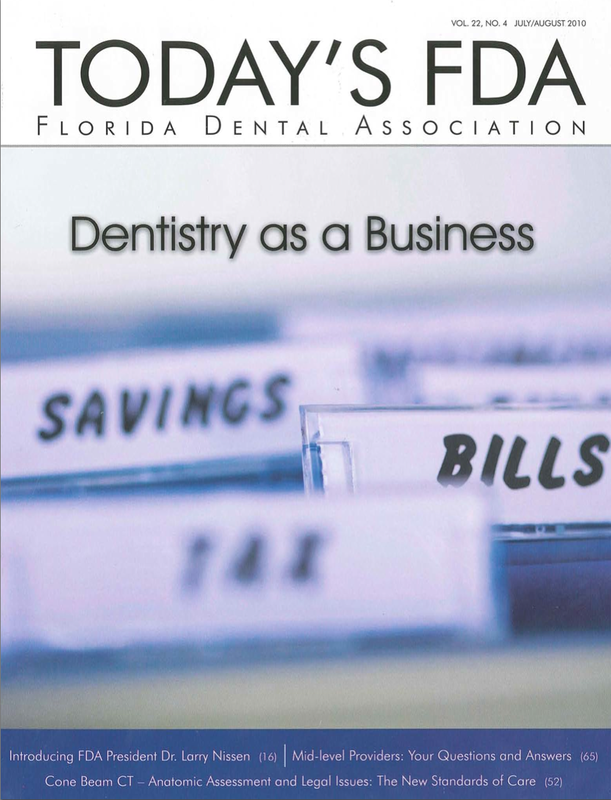 The Diagnostic Discussion column of The Florida Dental Association’s publication provides insight and feedback on common, important, new and challenging oral diseases. 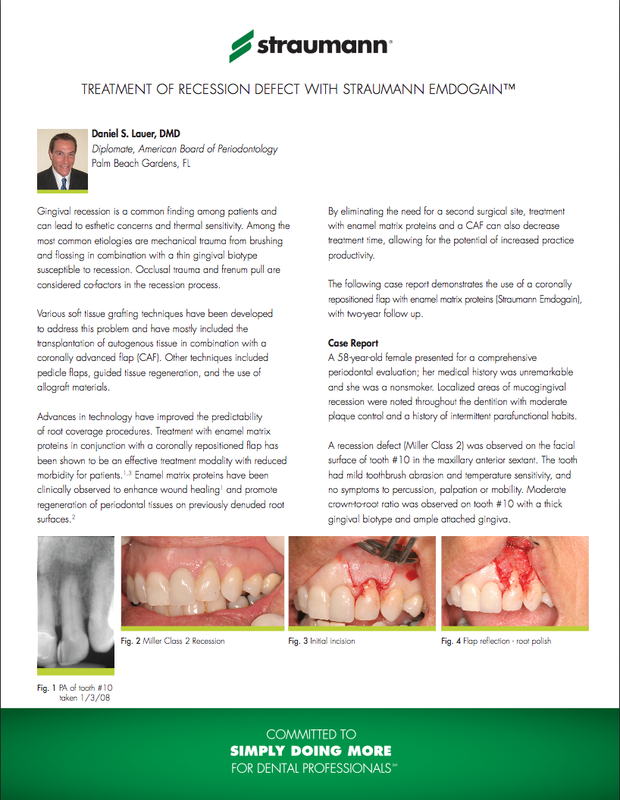 The July/August 2010 issue case study features a patient of Dr. Lauer’s. To read the full article, click on the cover below to download a copy. 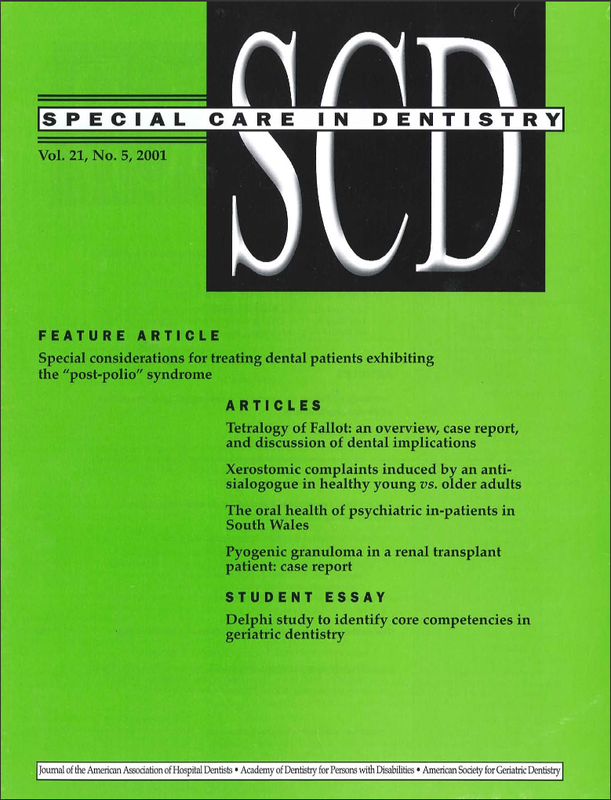 As a dental student at the University of Florida College of Dentistry, Dr. Daniel Lauer was published in the Special Care in Dentistry Journal. His paper, which covered the identification of core competencies in geriatric dentistry, won 1st prize in The 9th Annual Saul Karmen Scientific Report Award Contest of the American Society for Geriatric Dentistry. Click on the journal cover below to read the full article.